Jim and Rebecca Gabriel relish pushing the boundaries of natural healing. 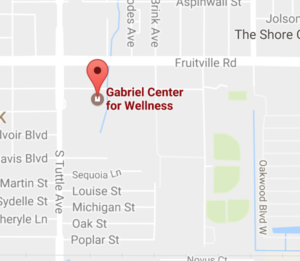 To understand their passion and hard work, look no further than The Gabriel Center for Wellness in Sarasota, Florida. This combination treatment facility/retail store is where the busy couple transforms ideas into reality. Friendly and relaxing, the Center has successfully served Sarasota’s active holistic community of patients and practitioners alike for the past nine years from their Gold Tree Plaza location. The Center is anchored by the clinical massage practice of Jim Gabriel, an outgoing, multi-modality therapist with 38 years of experience. Behind an unassuming exterior, visitors can find every kind of product for massage therapists, along with a wide range of supplements and essential oils promoting the vision of robust health from a holistic, non-invasive perspective. “We are excited about the state-of-the art technologies and modalities that we have gathered to help people overcome pain, inflammation, injury, postural breakdown and all manner of dysfunction and disease,” Jim Gabriel said. The center is known for the Gabriels’ commitment to staying ahead of the curve in innovative therapies. This is exemplified in the state-of-the-art micro current known as the Acuscope/Myopulse that Jim has used in his clinical practice since 1984. They have since added far infrared light and negative ions generated by the BioMat to help relieve inflammation, boost immunity and balance serotonin; electro-magnetic fields employed by the BEMER Mat which improves circulation to the microscopic level and contributes to overall well-being. The latest addition is the HOCATT, an acronym for Hyperthermic Ozone Carbonic Acid Transdermal Therapy which is a space age ozone steam chamber. First timers are given complimentary sessions on the BioMat and the BEMER Mat. Jim Gabriel was trained and certified in massage and Neuromuscular therapy in Sarasota, which is Becky’s hometown and the place where they met. In 1982 they moved to Atlanta, Georgia where they opened the state’s first Neuromuscular Therapy practice. Dissatisfied with the state of massage therapy education in general, they launched the Academy of Somatic Arts nine years later and had graduated one thousand practitioners before passing the torch to a colleague in 2003. Along the way, they helped to found the American Massage Therapy Association Chapter in Georgia and helped to organize other natural health-based organizations in Atlanta. Under Becky’s keen aesthetic eye, the Center maintains a welcoming, artsy feel amid a busy flow of practitioners and clients – often other massage therapists – who gravitate here for massage oils and lotions, treatment tables and hydrotherapy equipment. Holistic health enthusiasts will find many unique self-care products selected for their efficacy. 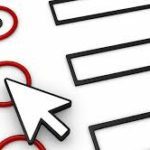 Special orders are accepted for items that may not be in their extensive product line. Treatment rooms are available to other licensed health practitioners including massage therapists, acupuncturists and other natural healers. B-12 injections are available as well. For potential clients, consultations are complimentary and are designed to develop a treatment plan geared specifically to an individual’s needs. Alongside the business name and hours of operation on the front doors are these thoughts, ‘Feel Better Today’ and ‘The Best is Yet to Be’. Returning and new clients and customers are always welcomed at the Gabriel Center. Come by and find out how they might be helpful to you.